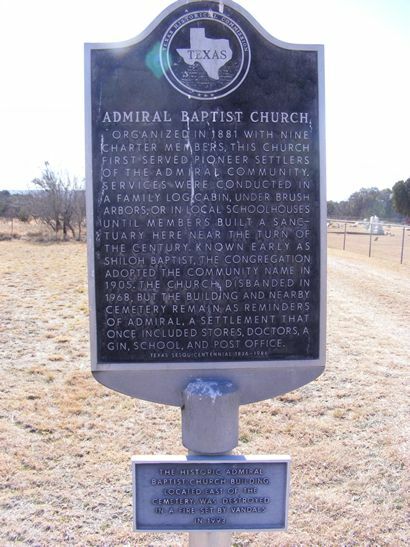 The community of Admiral formed around the Baptist church which was built in 1881. A post office was established in 1897. The population reached 100 by 1900 and by 1914 there were two stores. 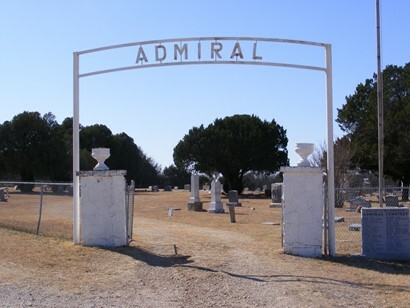 After the post office closed in 1929 the writing was on the wall and Admiral slid into a decline. 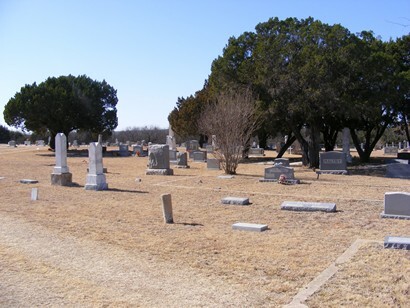 The 1950 population was down to 50 and thirty years later it was a mere 18 residents. 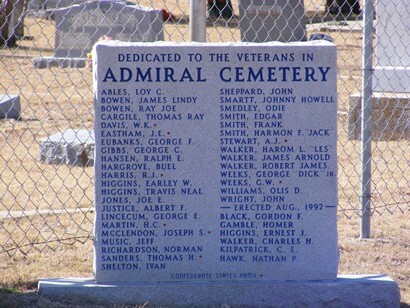 By 1989 Admiral had become only a cemetery and a church building. 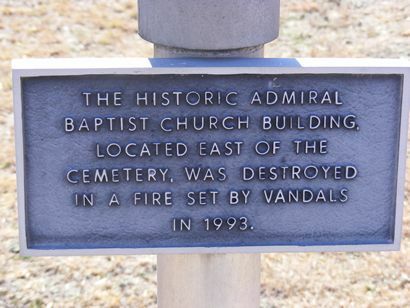 The church was burned by arsonists in 1993, leaving only the cemetery and the church foundation.